Tax rates for as many as 66 items including kitchen staples like pickles and mustard sauce under the ensuing GST regime have been cut to meet demands from various quarters as the country prepares for rollout of one- nation-one-tax regime in less than three weeks. 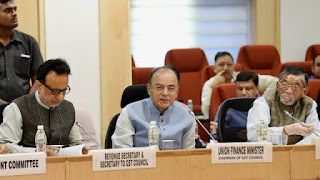 Within weeks of the all-powerful GST Council fitting over 1,200 items into one of the 5, 12, 18 and 28 percent tax slabs, there were complaints from various quarters about high tax incidence on various goods and services. The Council also increased the threshold of turnover for businesses which can opt for composition scheme to Rs 75 lakh, from Rs 50 lakh proposed earlier. Now traders, manufacturers and restaurant owners with turnover below Rs 75 lakh can opt for the composition scheme and pay taxes at 1, 2, and 5 percent rates respectively. 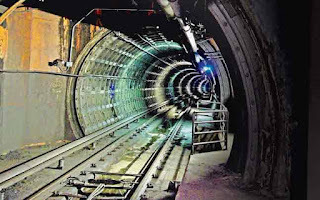 Kolkata will soon have an underwater Metro which will pass through tunnels several feet under the Hooghly. The first underwater transportation tunnel of India is ready with the second one nearing completion. India said the US had failed to meet an April 2016 deadline to comply with a WTO ruling that faulted it for imposing countervailing duties on hotrolled carbon steel flat products from India. The non-compliance complaint, effectively a new trade dispute, could lead to India asking to impose trade sanctions if the US is found not to have complied. 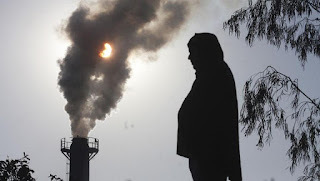 India brought the original complaint to WTO in April 2012, after the US commerce department set an import duty of nearly 286% on a circular welded carbon-quality steel pipe from India to offset government subsidies. The US commerce department did this after a petition from Allied Tube and Conduit, JMC Steel Group, Wheatland Tube and United States Steel Corp. 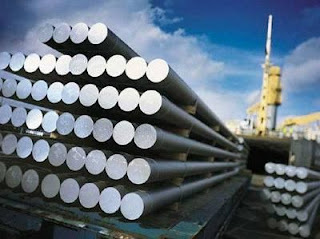 In the extremely complex case, India argued that the price of the steel pipe was set by the market, but the US said the iron ore used to make it came from a state-run mining company, NMDC Ltd, effectively subsidizing Indian exporters. India’s complaint alleging US non-compliance listed 14 areas where it said the US was in breach of the international trade rules. The 22nd European Union Film Festival (EUFF) premiered at Siri Fort auditorium with the screening of Estonian film Cherry Tobacco. The five-day event is being organised by the Delegation of the EU and Embassies of EU Members in collaboration with Ministry of Information and Broadcasting. Aiming to reduce emissions and promote sustainability to help India’s smart city programme, France and the European Union on Friday extended a grant of 3.5 million euros under the ‘Moblise Your City’ (MYC) initiative. Three Indian cities -- Nagpur, Kochi and Ahmedabad -- will get the grant as part of the EU’s commitment under the Paris Climate agreement, French Development Agency (AFD) officials said. More funds would be provided to India as loan to take forward the smart city and sustainable transport initiatives in the three cities on pilot basis. AFD has been associated with several projects in India and conservation of biodiversity, and is currently also funding the Vijayawada, Lucknow, Bengaluru, Kochi and Nagpur metro rail projects. 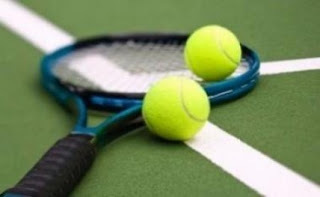 Dhanya Shah and Sanmay Gandhi clinched the Under-14 doubles title of the Asian Junior Tennis Championships at the Balewadi Stadium. Table Tennis will also get a mixed doubles competition. Three-on-three basketball is an example of the IOC’s focus on youth and urban sports. The 10-minute match on a half-sized court is known for its speed. Nadal, 31 years old, dominated 32-year-old Stan Wawrinka to win the French Open for the first time since 2014. He’s the first player—man or woman—in tennis’s Open era to win the same major title 10 times. The 6-2, 6-3, 6-1 victory means Nadal lost a mere 35 games in the entire tournament, the least in all his years playing at Roland Garros. Nadal now has 15 Grand Slam titles in his career, trailing only Roger Federer, who has 18. The victory lifts Nadal’s tennis ranking back up to No. 2 in the world. Wawrinka will be ranked third. Novak Djokovic, who has struggled since winning the French Open last year, will fall down to No. 4 in the rankings, his lowest since 2009. 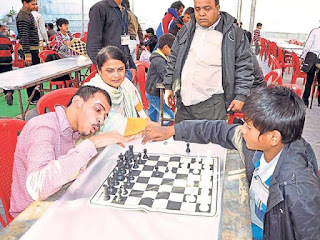 Kutwal, who hails from a village in Baramati tehsil, was appointed with the Central Railway through sports quota in 2000. 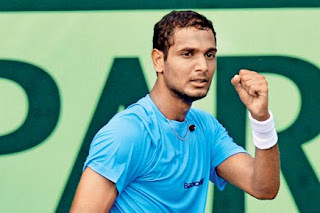 Indian player Ramkumar Ramanathan lifted the $15,000 ITF men's Futures tennis title after outplaying Raymond Sarmiento of the USA in straight sets. The top seeded Indian hardly broke a sweat on his way to a 6-2, 6-2 win over the second seeded player from USA in the final of event last night. The bank has identified Thiruvananthapuram city as an area with potential business opportunity. 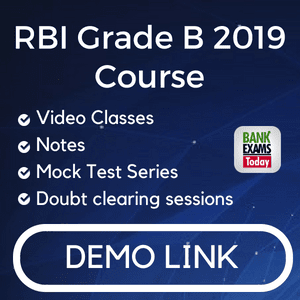 It is planning to disburse an additional Rs 100 crore in retail loans during the current financial year, he added. 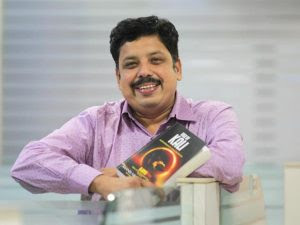 Popular writer Anand Neelakantan, Odia poet Haraprasad Das and author Paramita Satpathy were announced winners of the Kalinga Literary Awards. The Kalinga International Literary Award, Kalinga Literary Youth Award and Kalinga Karubaki Award will be conferred upon Neelakantan, Das and Satpathy respectively. The theme of this year's award ceremony is ‘Literature for Peace and Harmony’. Sinha has been associated with Paytm since December 2007 and has served in several key business roles. At Paytm Mall, he will be responsible for overall operations, hiring, category management and logistics. 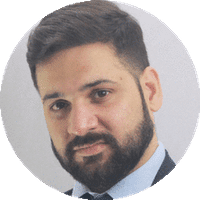 Last year, Paytm de-merged its three-year old e-commerce business into a separate unit—Paytm Mall, under the legal entity Paytm E-Commerce Pvt Ltd. The company launched a dedicated online portal and mobile app for Paytm Mall on 27 February. 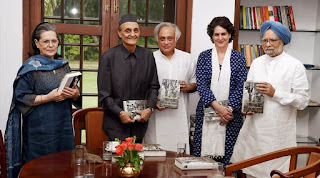 Former Union minister Jairam Ramesh, who has authored the book published by Simon & Schuster, presented the first copy of the book to the Congress President, besides to former Prime Minister Manmohan Singh, former minister Karan Singh and Priyanka Gandhi. The book brings out some of the unpublished works sourced through archives and personal sources material that highlighted the unexplored aspect of Indira Gandhi’s life — her love for nature. The book showcases how Indira Gandhi led India to the path of conservation and made it a priority of economic development.